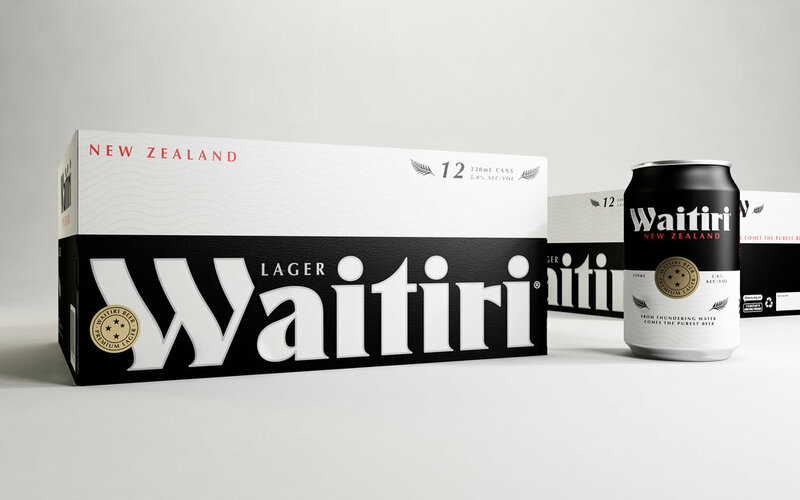 Waitiri Beer was born in 2018 with the aim of represents the people who feel pride in living in New Zealand, an egalitarian place full of nature and adventures with a co-operative spirit. 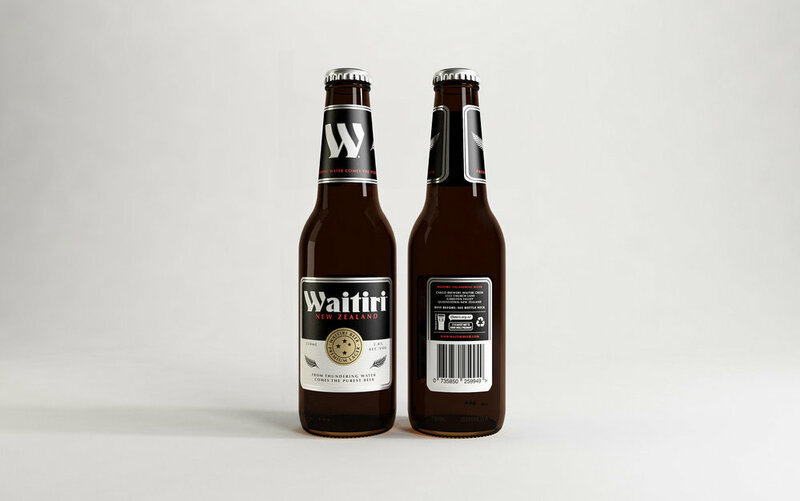 It’s a beer for a creator’s soul, non-conformist and authentic. Waitiri (Māori): Thundering water; Disturbed stream. Tagline: From thundering water comes the purest beer. A bespoke typeface was developed to evoke the movement of the waves from right to left and vice versa on the Master Logo mark and Monogram. 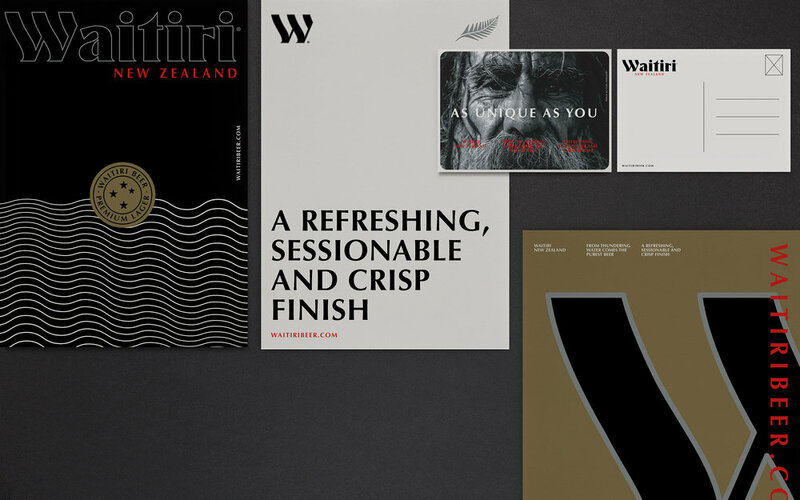 Regarding the used of the colour palette we’ve decided to work with black because it’s timeless, stylish and safe. On the other hand the red colour represents Te Whei Ao, the realm of Coming into Being. It symbolises the female element. Red is Papatuanuku, the Earth Mother, the sustainer of all living things. Red is the colour of earth from which the first human was made. 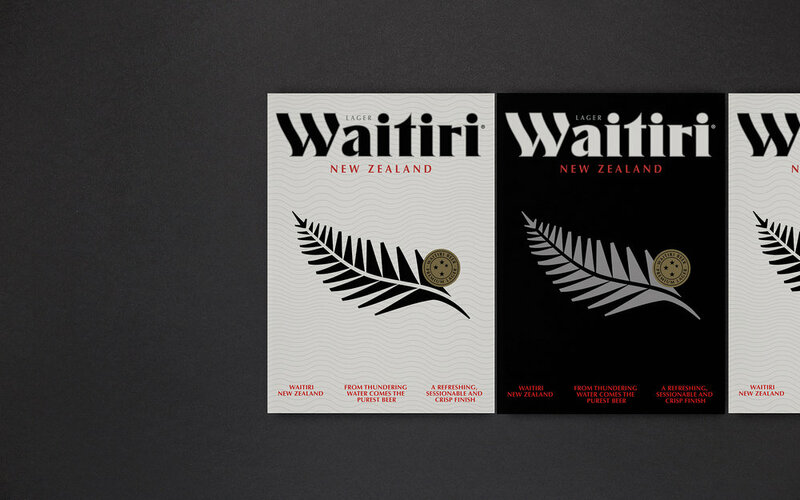 Silver / Grey colour represents the Silver Fern (Cyathea dealbata), a symbol for New Zealand identity. And gold colour it’s associated with wealth, grandeur, and prosperity gives a traditional final touch to the brand. A perfect detail to achieve whole unique identity.